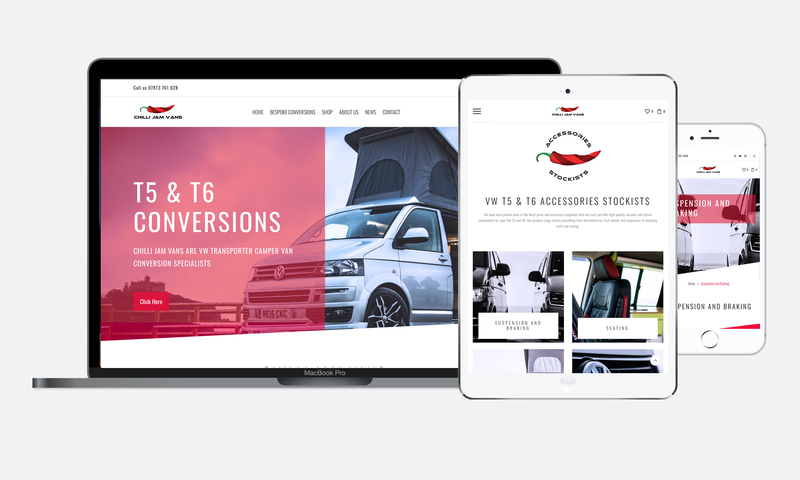 The website was to offer two services combined into one website under one platform with a strong design that will help the business grow their online presence. Firstly Chilli Jam Vans offer a full camper conversion service. They have worked on several projects and offer a variety of services. 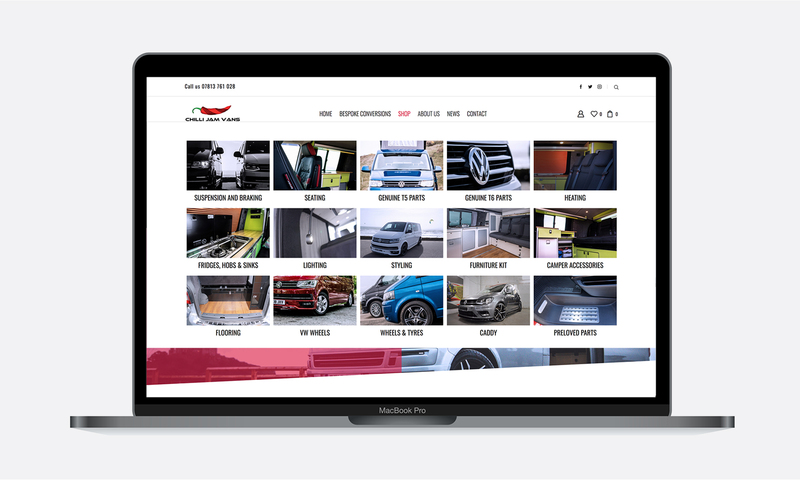 The website was to clearly showcase what the business offers with strong imagery and concise content as well as offering an insight into projects they have worked on and testimonials of satisfied customers. Secondly they are a VW accessories stockist. This part of the website was to be separated from the conversions side but both sides of the website needed to work together. 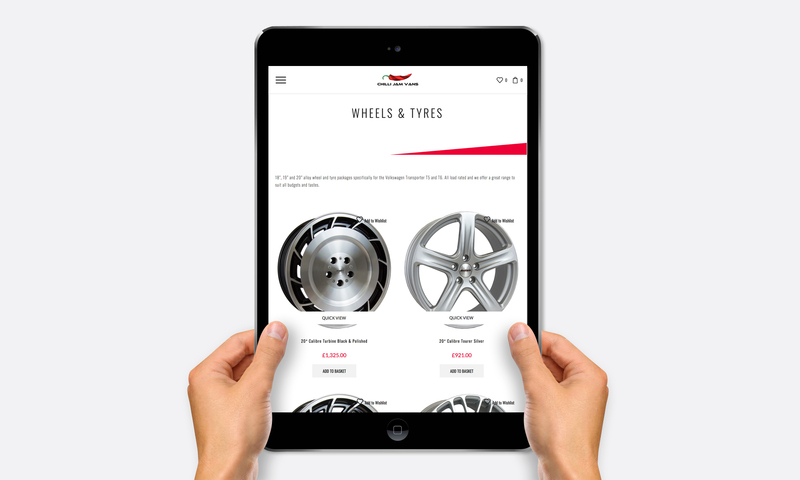 Here the client wanted to create new products for general sale and categorise products. It was important to organise the online shop for ease of use for every user so they can easily find the products off interest. 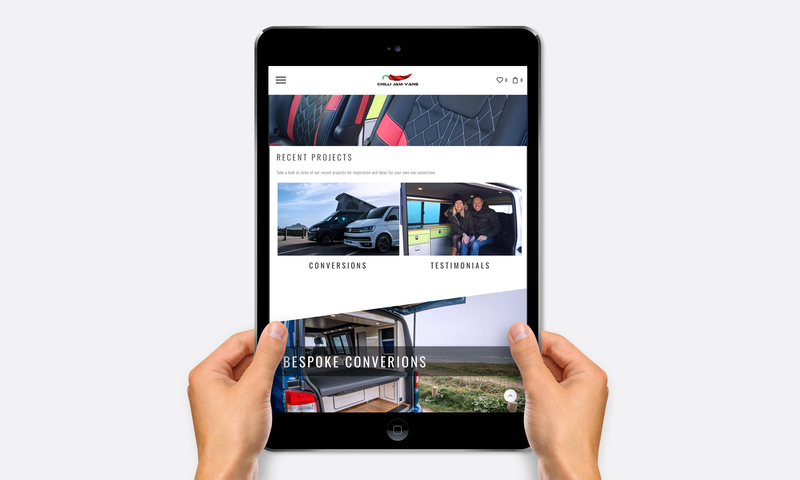 The website allows for the client to make updates to the website when necessary to both the camper conversions and online shop keeping them in control of their website and what the business has to offer.